Day two started off the right way with a short trip to Weingut Markowitsch for a tour of the vineyards and winery alongside Weingut Glatzer. This day brought us to Carnuntum, Neideroesterreich’s premier red-wine region… which is far different from the others in this state. It is best known for its production of Zweigelt and Blaufraenkisch, though white Gruner, Pinot Blanc, and Pinot Gris as making a heavier appearance these days. the opportunity to visit the Roman ruins. Can be quite fun! But back to our trip. We were lucky enough to drive up to the vineyards with Gerhard Markowitsch, one of the best parts of visiting a wine region, after all. 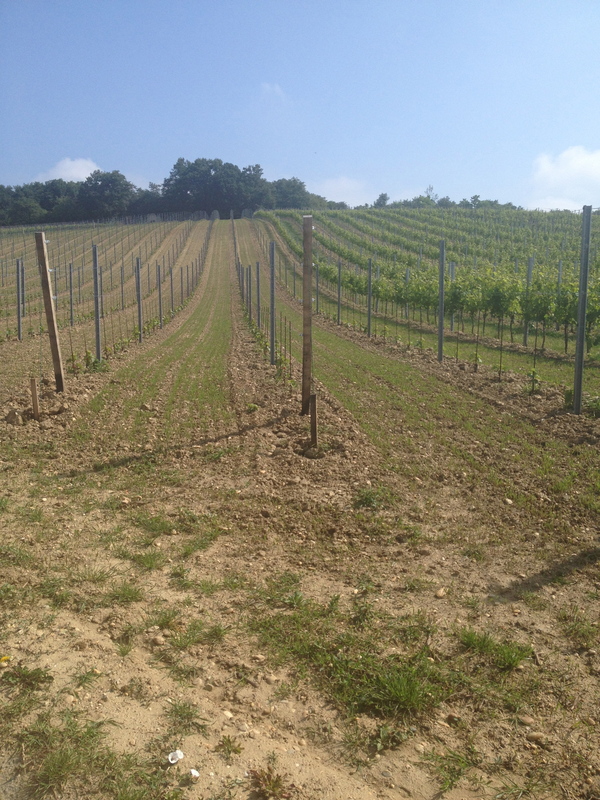 Atop the vineyard, we played in the soils to understand what makes the Markowitsch winery, “tick”, if you will. After all, the philosophy here is that wines cannot be “planned,” but rather the influence of the soils, the climate, the cellars, and all that happens to a wine are what turns the wine incidentally. Later in the winery we viewed soil examples on the wall – this is something Austria is great for… soil analysis is very important here and showcasing a tangible example in a tasting room whilst the wines are being sampled is the best way to communicate the influence of the soils on the wine’s taste. 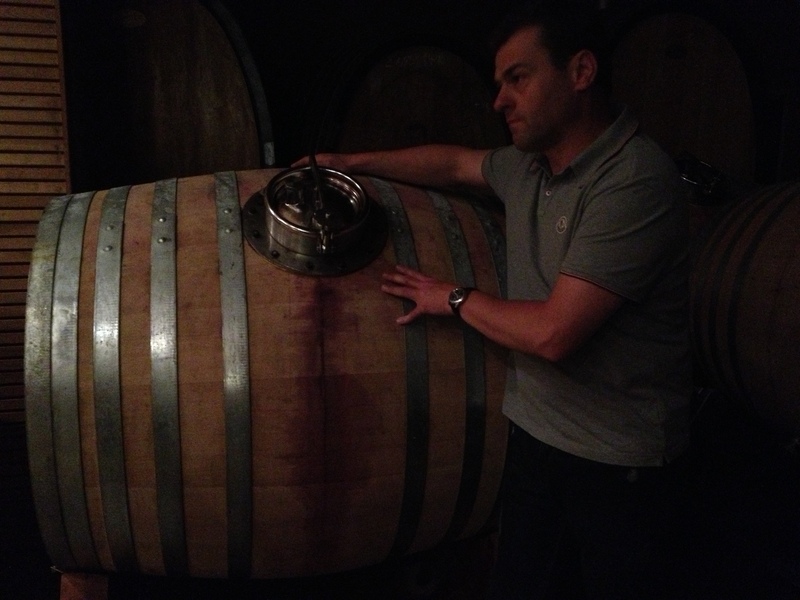 Our tasting took place in the cellars, after a brief tour. We were joined by Walter Glatzer of Weingut Glatzer and together he and Mr. Markowitsch brought us through a tasting of both their wines and others selected from the region. Weingut Glatzer is also a small producer with and average of just 10,000 cases a year. Must like the rest of the region, he focuses on red wines and takes care to showcase the natural notes of the wine. All are fermented in stainless steel with the basic wines aging in big oak casks, and the reserve reds spending time in barrique. We tasted a variety of wines, but of particular note here is the Rubin Carnuntum wines. They are a specialty of the region and must be judged by a panel in order to be released in a particular year. The wines, made from Zweigelt grapes, is meant to show the full scale of what Zweigelt can do and showcase the region. Each winemaker’s wine is different, but must pass through a panel of the other winemakers in order to be released with the Rubin Carnuntum name. The wines showed very well and it’s recommended to anyone that hasn’t tried this fantastic region to do so. Check out our photos for more fun. Might be in Austrian wine country in April, so this might be a stop. I hate to sound like a dope, but I could not find the write-up for day one…. https://austrianwineusa.com/2013/08/07/day-1-dinner-with-gerhard-kracher-in-illmitz/ <– here you go! if you follow the tag, "trip", you will see a lot more in the very near future!